Although The John D. Giddens Law Firm and Philip W. Thomas Law Firm have been representing most of our NFL Concussion Litigation Clients for over four years, with the implementation program for the settlement imminent, we have teamed up with the Stern Law Group and Mokaram & Associates (together, the “New Firms”) in Houston, Texas. Collectively, the New Firms represent nearly 500 retired NFL football players in their litigation claims against the NFL and have recovered over $800 million dollars in settlements and verdicts for their clients over the past 30 years. We are teaming up with these law firms in order to better serve you–our client. We believe that a larger group of firms is essential to ensure that you receive maximum compensation under the terms of the settlement, and have at your disposal the largest possible legal team committed to your representation for the 65-years that the settlement program will last. We have shared our concerns and goals for representing you with the New Firms and they see eye-to-eye with us. We are calling our joint program The Players First Program. One misconception that has persisted among retired players is that since the lawsuit settled, you no longer need an attorney. This is wrong. The settlement program, including deadlines, testing procedures and monetary claims requirements, are complex. Few, if any, retired players will be able to successfully navigate these procedures without an experienced and knowledgeable legal team prepared to battle anything thrown at them by the NFL. Retired players without the right legal team face biased pro-NFL testing with no oversight and a stringent claims review process, leaving little chance for a fair, or any, monetary payment. Furthermore, the settlement entitles you to supplemental award payments over the next 65 years, which requires additional testing and has its own set of complexities that are best left for an experienced legal team to handle. The Players First Program is designed to represent you in the settlement program–not the prior litigation. Best of all, The Players First Program WILL NOT increase the attorney’s fees that you will pay, despite the addition of two large law firms to your legal team. The program provides additional services, including: a larger legal team with additional staff dedicated to assisting you, medical testing outside of the NFL, and assurance that you will be represented for the next 65 years with the same end goals in mind – maximizing your recovery under the terms of the settlement and providing you with the personalized service that you deserve. In summary, the NFL’s program is designed to benefit the NFL and ensure that payouts to retired players are minimized. Retired players without long-term representation like The Players First Program risk being exploited by the NFL and having little to no chance of maximizing their benefits and monetary award payments under the terms of the settlement agreement. (1) an acknowledgment of your consent to participate in the The Players First Program, and (2) a new HIPPA medical authorization. We will also provide these documents to you via mail if you are unable to access these online. 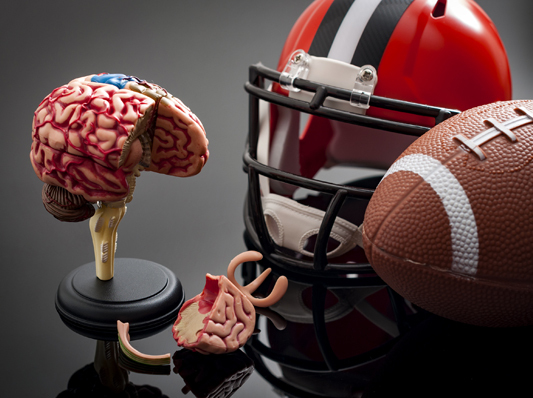 We remain deeply committed to representing you in the NFL Concussion Litigation, and look forward to having you participate in The Players First Program. Once the documents have been executed, we, in conjunction with the New Firms hope to be in touch in the very near future with additional updates, including setting you up for testing.